Have you caught any of the shows yet? I haven't seen any yet but I hope to catch one of them! I love the La Pashe artwork, it's all about fun & is so fresh. The decoupage is a dream to cut out & layer up! The matching background papers are fab too! as I did here! Thanks so much for popping in. comment & I'll get back to you! 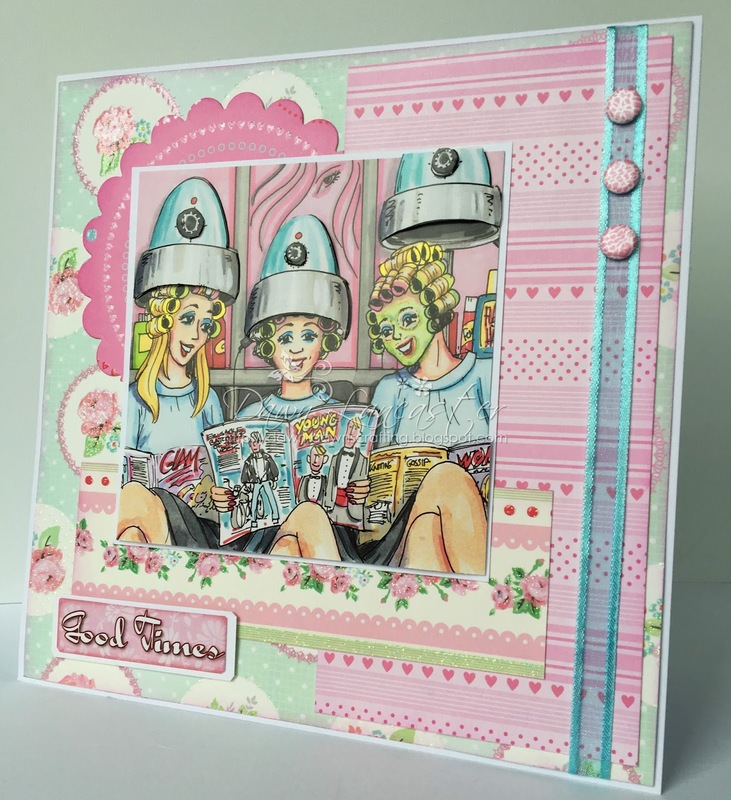 A fabulous collection of samples Dawn, fun images. It;s nice to see images that are so "different" from the norm - they look great, and seem to cover all manner of occasions and requirements - You've done such a great job highlighting all these goodies! Fabulous! 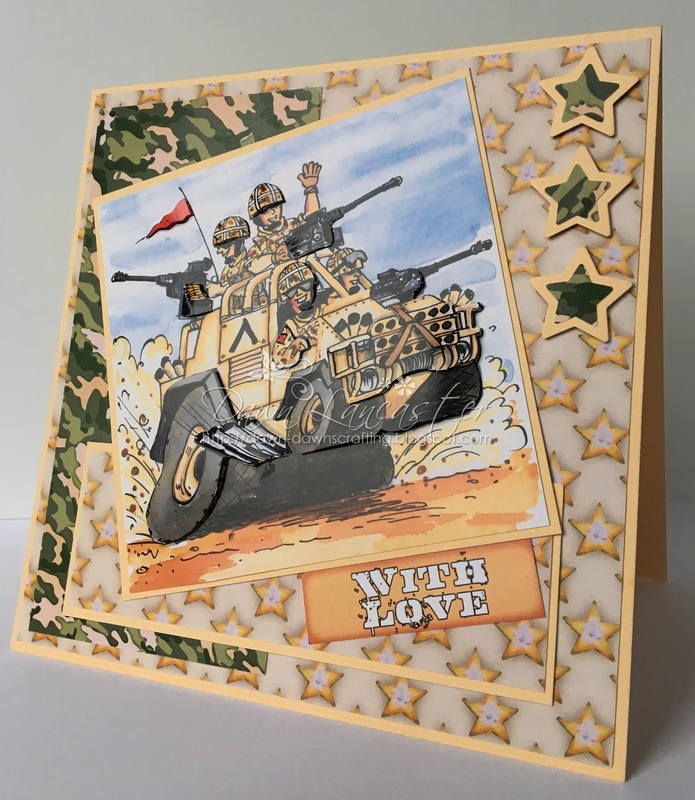 Love this image and beautiful card design. All sutch great and funn card!! great work Dawn!! Hiya Dawn, I smiled so much at all of these, the tank one is awesome. Such fun images, i love them. Thanks for sharing these fun samples. I think the US version is not the same as the UK. I do not recognize the name. Today in the US there are a couple of HunkyDory and a couple of Couture shows. 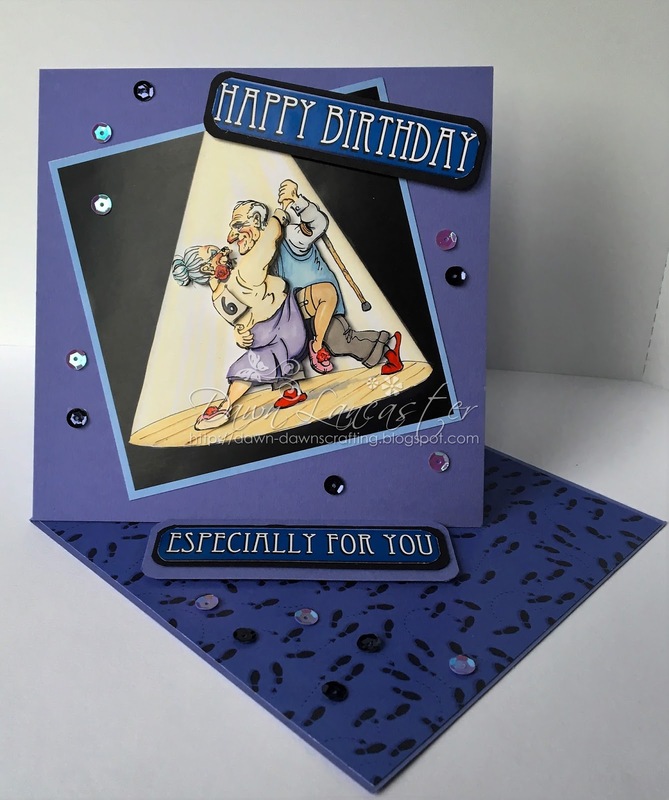 Each card is absolutely delightful and fun! Love the facial mask, very creative! 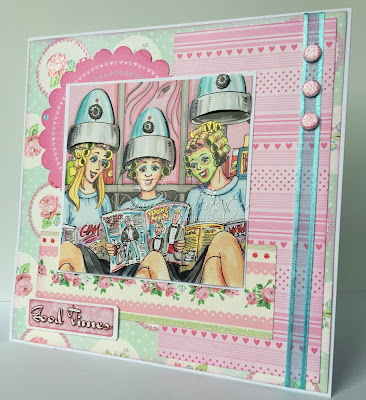 Fabulous fun cards love them all..
Wow these are super samples Dawn, gorgeous designs! !